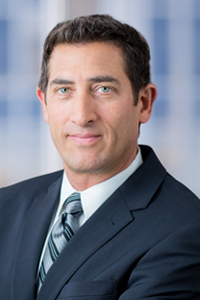 David Silverman is a shareholder and member of the Firm's business practice groups. Mr. Silverman's primary areas of concentration are business organization, employment, tax and health and structural planning (including non-profit organizations, as well as for-profit corporate and pass-through entities), commercial transactions (including mergers and acquisitions, reorganizations, etc. ), employment law, taxation, contracts, real estate, health care and general business representation. Mr. Silverman has developed particular expertise in employment and services related matters. In addition to drafting and negotiating employment contracts, consulting agreements and termination/severance arrangements from both the service provider and recipient perspectives, he assists in the creation of company-specific employment manuals, policies and procedures, and guides the Firm's clients through the maze of employment-related regulation, including discrimination, harassment, workers compensation, disability and family and medical leave laws. Mr. Silverman also advises clients and assists in the adoption of ERISA and other benefit and retirement plans. As part of his role as general counsel for various business entities, Mr. Silverman is regularly called upon to draft or review contracts of every type and form, including purchase agreements, equipment leases, joint venture agreements, loan documents and security instruments, distribution and marketing agreements, license agreements, construction contracts and subcontracts, employment agreements, separating agreements and non-disclosure agreements, to name a few. Mr. Silverman also has experience in the related areas of estate planning, real estate, health-care, intellectual property and bankruptcy. Santa Fe Medical Services, Inc. v. Segal, 57 F.3d 342 (3rd Cir. 1995) - successful oral argument before the United States Court of Appeals, Third Circuit, on case of first impression. November 13, 2003 - CE Seminar for licensed title producers on Legal Entities - spoke on differing characteristics, including advantages and disadvantages, of various entities available under New Jersey and federal law. December 18, 2012 - CLE Seminar filed "LLC or Inc.? Entity Selection for a Small to Medium Sized Business" spoke on tax and ethical considerations.